Some Zambians have noted with dismay a growing trend of hiring and firing of coaches by local football clubs. It is now a popular misconception that mere ascendancy of a new coach to a team’s technical bench would change its performance overnight and Zambians should not be deceived by this trend. Behind every mesmerizing and spectacular football match played on the pitch lies a team of great players as well as a great team of managers. NINE months after the AFCON victory, Zambia has moved 2 steps upwards and 1 step on the international scene to occupy position number 6 in Africa and 31 in the world respectively according to current FIFA rankings. This fair achievement came as a result of the February 12 victory that saw the Chipolopolo Boys rising against all odds to humiliate the famed Ivory Coast side. Zambia National Broadcasting Corporation (ZNBC) Director General Chibamba Kanyama has said the national broadcaster has a huge challenge in covering live games. Mr. Kanyama’s observations follows the recent technical problems experienced during the Zimbabwe Zambia match as well as the Zambia Uganda Africa Cup qualifier game hosted in Uganada. The stripping of three points from Sudan in a 2014 World Cup qualifier against Zambia because one of its scorers was ineligible to play should serve as a warning to sports associations says Zambia Voluntary Soccer Fans Association (ZAVASOFA) Patron, Pastor Peter Makembo. Speaking in an interview with the Lusaka star, Pastor Makembo said the incident should not only be a warning to the Football Association of Zambia (FAZ), but also to other sports associations that want to field ineligible players in the country - cheating has got penalties. Body Building veteran, Choola Chilongo, says body building is as good as any other sport and has the potential to grow into a big sporting activity. In an interview with the Lusaka Star, Chilongo, who is also Kabwata Gymnasium Chairperson, said he has noticed a significant growth in the body building sport after the Mr. Kabwata competiton that was recently held at Lusaka Playhouse. A TEAM of sports and medical experts from the United States of America (USA) is expected to arrive in the country to conduct clinical workshops for local medical and sports personnel. 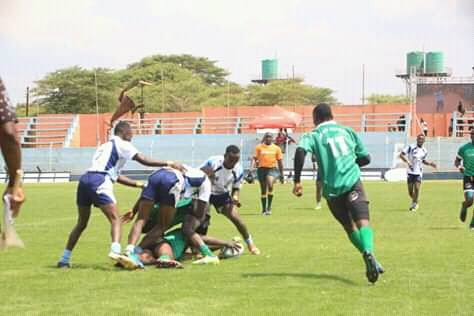 The programme, slated for October 25, will be held at Lusaka’s Olympic Development Centre (OYDC) and is expected to attract team doctors from various sport clubs as well as coaches and technicians from various sports disciplines. LUSAKA’S Chiparamba Youth Football Academy has chosen five players to attend football trials in Sweden in October this year. The players that have been selected comprise of three boys from the Zambia under-17 national team namely Chibuye Mululo, Albert Ngosa and Lyson Thole. The other two players are Prince Lungu and Jackson Nyirenda who are currently skippers for Chiparamba team. The newly introduced goal line technology (GLT) that is currently being used in Europe is yet to be adopted in Africa as it is still pending approval from the Federation of International Football Association (FIFA). ZAMBIA Volleyball Association (ZAVA) General Secretary, Charles Hambote, has expressed happiness over the rapid development of beach volleyball in the country. Speaking in an interview with the Lusaka Star, Hambote said that the Siavonga Splash Beach volleyball tournament, which will take place in October this year, is an indication that the tournament has undergone major developments as compared to the inaugural one held last year. THE Confederation of African Football (CAF) has donated medical equipment meant for the detection of possible cardiac arrest in players to the Football Association of Zambia (FAZ). Speaking in an interview with the Lusaka Star, FAZ Communications Manager Eric Mwanza said that the equipment was meant to improve the capacity of team doctors to contain cardiac arrest and other heart related complications among players in the country.